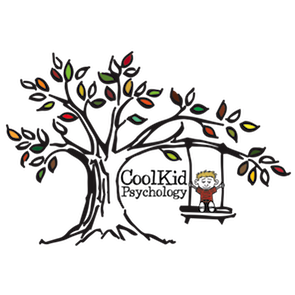 CoolKid Psyhology excels in providing therapeutic support and assessment services to children, adolescents and families. Established in the Private Sector in 1996, and now with 5 years as a Private Psychology Practice, CoolKid Psychology has etched a reputable presence in the Allied Health Community. At CoolKid Psychology we value a team approach both within the therapeutic alliance and across mutli-disciplinary providers involved in client care. We are committed to providing a work environment that is person centered, team focused, energetic and compassionate. A fantastic, well sized, fully furnished office, that is close to public transport, the Hampton Street shopping strip and beautiful Port Phillip Bay. Full administration support, including diary management, booking and rescheduling of appointments and account management. through the use of cloud based Practice Management System. Client referrals and on going provision of clients for a caseload tailored to your goals. Ongoing professional coaching and peer consultation opportunities. Capacity to develop extension programs and other therapeutic initiatives associated with your areas of interest. Your choice of investment in your progression in private practice; we have a number of opportunities and positions available for you beyond clinical work with clients. Structured and graduated approach to joining our team. We will provide you with support at the level you need. Provision of psychological therapy and assessment services to CoolKid clients. Preparation of assessment reports and management of ongoing correspondence with referring doctors and other allied health practitioners. Attendance at schools and other offsite locations as negotiated with the client and CoolKid. Maintenance of professional standard case notes, file management and the upholding of all required legal and ethical standards as outlined by the relevant registration bodies and legislation policies applicable to registered psychologists.